Loro Piana's goats in Mongolia. Photo by Giulio di Sturco. Based in Northern Italy, Loro Piana has created some of the finest textiles using the world’s rarest raw materials. They’re now celebrating ten years of their signature baby cashmere sourced from the extreme climate of Inner Mongolia. Can you tell us a little bit about the process by which Loro Piana’s baby cashmere is sourced and created? The story of Loro Piana’s Baby Cashmere starts in Inner Mongolia, on the Alashan mountains: here, the Capra Hircus develop an incredibly fine under-fleece which is transformed into an exclusive fiber. It is a story of excellence found in extremes, of the contrast between a rough environment and the delicate softness found within. This harsh milieu has played a precious role in developing this fiber. Cold, rigid winters give way to sandstorms in spring and extreme heat in summer. The arid desert surroundings allow the goats to develop a double-layered fleece: a coarse outer layer protecting a soft under fleece; a highly efficient and precious insulating barrier. Rarity lies at the core of this product, whose fibers can be harvested only once in a goat’s lifetime, before they turn one year of age, and only during the month of June when the protective layer is naturally shed. A small window of time that produces an equally small quantity of fiber: 30 grams for each goat, each fiber only 13.5 micron in diameter (compared to the 15 micron of adults). Working closely with goat herders to develop his products, in the mid-90s Pier Luigi Loro Piana had an intuition: to separate this delicate fiber and create a cashmere like no other. This kick-started a 20-year adventure for the company—ten years of development to arrive at the peak of cashmere excellence. Only 2,000 kg are available each year, made by Loro Piana into a material that is not only rare and precious for its softness, but also unique for texture, resilience and durability over time. A magnificent transformation that bears no obvious signs of its extreme origin. What are the dying processes that must be honored due to the special blend of cashmere? Once available only in the fiber’s natural white, Loro Piana has developed dyes that are gentle enough for the delicate raw material of baby cashmere. 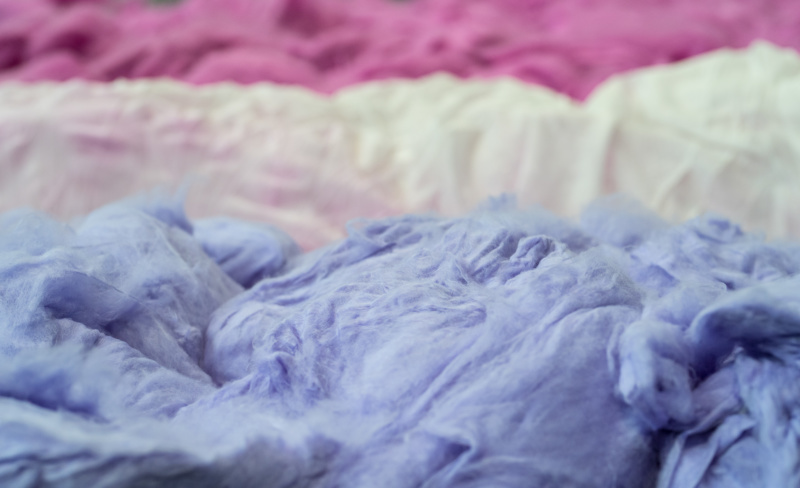 The ultra-softness and fineness of the fibers are safeguarded by using special spinning techniques coupled with the complex yet gentle dyeing process. It seems as though tradition is integral to the soul of this brand. How does that carry through your design process? How do you design pieces bearing in mind the extreme rarity of this particular fleece? Baby cashmere’s versatility promotes a range of silhouettes for both men and women—from loose draping to accentuating lines that embrace the body, the pieces are in tune with Loro Piana’s pioneering spirit. The fiber maintains its refined nature while being presented in a series of different hues and patterns. The design process considers both tradition and modernity in order to fully realize the potential and diversity of baby cashmere. How does the Mongolian landscape inspire the vision for Loro Piana? 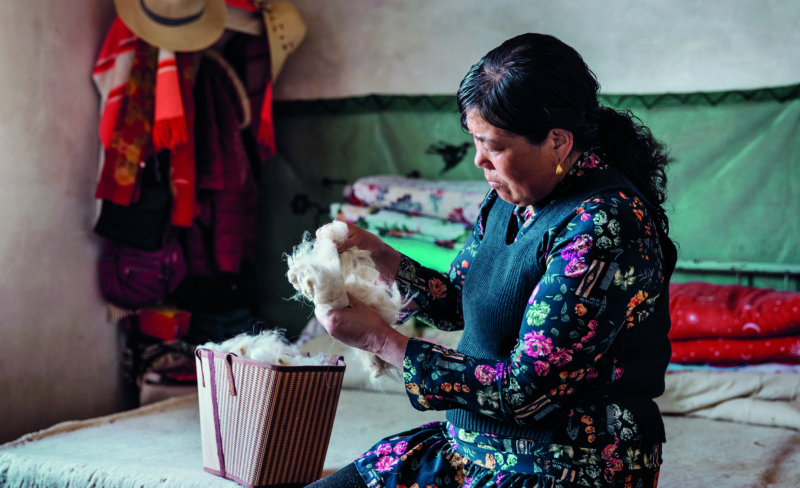 It is because of the harsh landscape of Inner Mongolia that the Capra Hircus goat developed its incredibly fine under-fleece, prompting Loro Piana to pursue the possibility of rarity found in even the most unassuming of places. The dry desert and frigid winters make the baby cashmere fiber even more precious and it is through great dedication that Loro Piana continues to celebrate nature’s purity.